Bayern Munich kick-off the Bundesliga season on Friday at home against Hoffenheim with the spotlight on new coach Niko Kovac and whether he has what it takes to lead the club to a seventh straight league title. "Tomorrow is D-Day - I'm convinced that my team will have a great day, technically and tactically," Kovac said confidently in a press conference on Thursday. However, the 46-year-old ex-Bayern midfielder knows he is expected to maintain the club's winning ways after Munich won the title by 21 points under predecessor Jupp Heynckes last season. Kovac knows only satisfying Bayern's relentless thirst for silverware after six straight seasons as German champions will safeguard his job. "Those who hope that FC Bayern will relax will be disappointed," boasted club chairman Karl-Heinz Rummenigge in pre-season. "The gene that causes the feeling of being satisfied does not exist in our DNA." Hoffenheim, who make their Champions League debut this season after finishing third in the Bundesliga last season, and their 31-year-old head coach Julian Nagelsmann are the first hurdle. Kovac's main task is ensuring striker Robert Lewandowski, who hit 29 goals in 30 league games last season, feels settled after he said he wanted to leave in May. Lewandowski blamed a lack of support from senior club bosses. 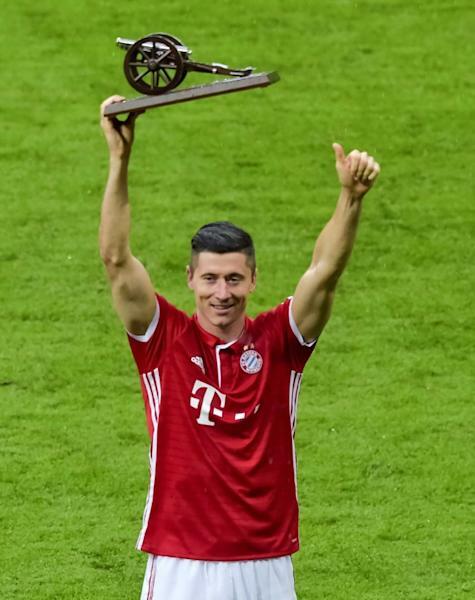 "Everybody needs affection, he may not have felt that lately, but what matters is that 'Lewy' feels fresh again," said Kovac. Likewise, ageing wingers Arjen Robben, 34, and Franck Ribery, 35, must be managed to ensure they are injury free when titles are decided next April and May. After being dumped out of last season's Champions League in the semi-finals and losing the German Cup final 3-1 to Kovac's former club Eintracht Frankfurt, Bayern are eager to avoid similar disappointment in 2018/19. The pressure is also on Bayern's Germany stars Thomas Mueller, Mats Hummels, Manuel Neuer and Jerome Boateng, none of whom impressed at the World Cup. They all have a point to prove after poor performances contributed to Germany's early exit from Russia after finishing bottom of their group. As an added incentive, Germany head coach Joachim Loew will announce his squad next Wednesday for the September 6 international against world champions France. Kovac faces the problem which confronts each Bayern coach - which stars to leave out. The sale of Arturo Vidal to Barcelona makes his task easier, while Boateng has been linked to a move to Paris Saint-Germain. However, Kovac still has multiple midfield options with rising Germany star Leon Goretzka joining on a free transfer from Schalke and Portugal's Euro 2016 winner Renato Sanches impressing in pre-season friendlies after a loan spell at Swansea. Winger Serge Gnabry is out with a thigh strain, but Corentin Tolisso, a World Cup winner with France, and Germany's Sebastian Rudy were both frustrated by a lack of regular matches last season under Heynckes. "All around me there are superstars, including those who have to sit in the stands," added Kovac. "I'll tell the players tomorrow whether they are in or out. "Hoffenheim are in great shape, but if we close down their space, then we will win."